Injecting a fresh look and new voice into the subject of personal injury law - SEO Eblog by SEO Advantage, Inc.
You may already know we love working with attorneys. In fact, we have a realm of expertise dedicated to attorney marketing called SEOLegal. So when we were tasked with a makeover for Enjuris, our personal injury attorney directory and knowledge center, we dove in with enthusiasm. 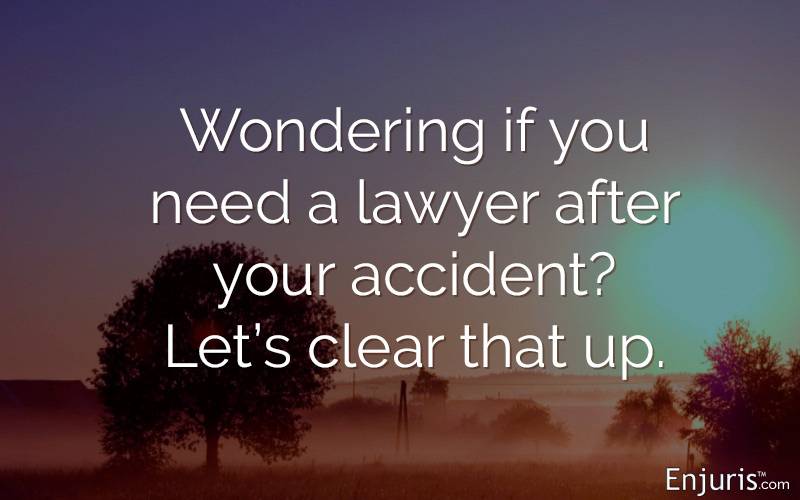 Over the last couple of months, a few of our team members have been laser focused on making it a truly useful resource for people who are facing the tough questions that come up after an accident. Some of us have family members who have been in life-changing accidents. We know what it’s like to have a thousand questions all at once, all while hoping and praying someone you love will pull through the next few weeks and months. Just knowing what it’s like to be in the other person’s shoes helps to fuel our passion for this new project. We’re enjoying the chance to apply fun and exciting concepts that make our content more readable, shareable, linkable, and consumable – and ultimately more useful for those who are out there searching for tough answers right now. If you’ve ever searched on topics like “how long does a personal injury claim take?”, you’ll know that there is a lot of information to be found online. It’s a lot to absorb, and you can sometimes feel like you need to read about 10 different articles on the topic to get the whole picture. It can be pretty confusing. And that’s the last thing our readers need at this point in their lives. While there are some really great websites available as resources in terms of breadth of information, they can be pretty hard to navigate. I know I rarely come away feeling like “yeah I’ve got it now!” And they can push the lawyer’s ads at you pretty hard when you’re just looking for information. I’m thinking of FindLaw, AllLaw, Nolo, and Lawyers.com, to name some of the most prominent legal websites. One way I think Enjuris may be different is we are using infographics to convey information visually, whenever it can help convey meaning. See an example in an article we are working on right now: How long will my injury claim take? We know it’s a real person on the other end reading the material. In fact, at one time it was us. So you won’t hear much victim-this, suffering-that from us. We are doing our best to talk to our readers like we wished someone had talked to us. Straight up answering the hard questions as best we can, in normal everyday language. As we produce new content, we are also tasked with bringing the older, existing content up to this same standard. We are facing some fun challenges, too. For example, we are getting set to roll out specific information by state. We’ve started with Texas. Some questions are pretty easy to answer relative to each state because there are genuine ways the states can differ. However, a reader in Texas will still want to know the basics of personal injury law, much of which applies regardless of which state you live in. With any large collection of information like this, there are multiple ways your content will need to be accessed, used, and consumed. That’s it for a peek inside one of our projects – for now. Stay tuned to the site as it unfolds! Now, your turn. Tell us, what’s new and exciting with you? Part of SEO Advantage since 2004, Lisa has enjoyed watching the company – and its clients – grow to become the dominant force it is today. Currently heading up Special Projects, Lisa dives deep into a mission and relentlessly pursues the vision. The question always on her mind is how can we improve life for the people who use what we create, as all else will follow. Lisa’s guilty pleasure may be too much online shopping, and (more nobly) she is immersed in bringing up two rambunctious sons in a multicultural family. Connect with Lisa on LinkedIn.